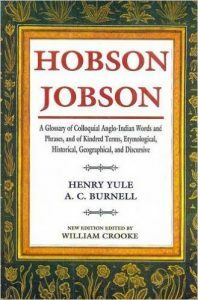 The word Hobson-Jobson itself is one of these. Poet Daljit Nagra revels in this extraordinary word horde in Hobson-Jobson: A Very English Enterprise “My friend Major John Trotter tells me that he has repeatedly heard this phrase used by British soldiers in the Punjab. It is in fact an Anglo-Saxon version of the wailings of the Mahommedans as they beat their breasts in the procession of the Moharram – ‘Ya Hasan! Ya Hosain! '” Nagra says this is exactly what he loves about Hobson-Jobson. As to the term Moor, the Dictionary provides the following: MOOR, MOORMAN, s. (and adj. MOORISH ). A Mahommedan; and so from the habitual use of the term (Mouro), by the Portuguese in India, particularly a Mahommedan inhabitant of India. In the Middle Ages, to Europe generally, the Mahommedans were known as the Saracens. This is the word always used by Joinville, and by Marco Polo. Ibn Batuta also mentions the fact in a curious passage (ii. 425-6). At a later day, when the fear of the Ottoman had made itself felt in Europe, the word Turk was that which identified itself with the Moslem, and thus we have in the Collect for Good Friday, — “Jews, Turks, lnfidels, and Heretics.” But to the Spaniards and Portuguese, whose contact was with the Musulmans of Mauritania who had passed over and conquered the Peninsula, all Mahommedans were Moors. So the Mahommedans whom the Portuguese met with on their voyages to India, on what coast soever, were alike styled Mouros; and from the Portuguese the use of this term, as synonymous with Mahommedan, passed to Hollanders and Englishmen. The word then, as used by the Portuguese discoverers, referred to religion, and implied no nationality. It is plain indeed from many passages that the Moors of Calicut and Cochin were in the beginning of the 16th century people of mixt race, just as the Moplahs (q.v.) are now. The Arab, or Arabo-African occupants of Mozambique and Melinda, the Sumālis of Magadoxo, the Arabs and Persians of Kalhāt and Ormuz, the Boras of Guzerat, are all Mouros to the Portuguese writers, though the more intelligent among these are quite conscious of the impropriety of the term. The Moors of the Malabar coast were middlemen, who had adopted a profession of Islam for their own convenience, and in order to minister for their own profit to the constant traffic of merchants from Ormuz and the Arabian ports. Similar influences still affect the boatmen of the same coast, among whom it has become a sort of custom in certain families, that different members should profess respectively Mahommedanism, Hinduism, and Christianity. The use of the word Moor for Ma- hommedan died out pretty well among educated Europeans in the Bengal Presidency in the beginning of the last century, or even earlier, but probably held its ground a good deal longer among the British soldiery, whilst the adjective Moorish will be found in our quotations nearly as late as 1840. 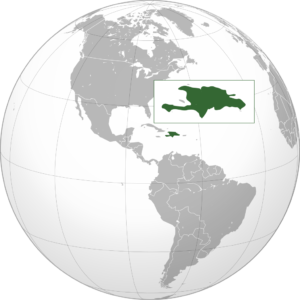 In Ceylon, the Straits, and the Dutch Colonies, the term Moorman for a Musalman is still in common use. Indeed the word is still employed by the servants of Madras officers in speaking of Mahommedans, or of a certain clàss of these. Moro is still applied at Manilla to the Musulman Malays. — “. . . the Moorsnever came to the house when this trading went on, and we became aware that they wished us ill, insomuch that when any of us went ashore, in order to annoy us they would spit on the ground, and say ‘Portugal, Portugal. '”-<-> Roteiro de V. da Gama, p. 75. ” “For you must know, gentlemen, that from the moment you put into port here (Calecut) you caused disturbance of mind to the Moors of this city, who are numerous and very powerful in the country.” —Correa, Hak. Soc. 166. — “We reached a very large island called Sumatra, where pepper grows in considerable quantities. . . . The Chief is a Moor, but speaking a different language.”-<-> Santo Stefano, in India in the X Vth Cent..
— “Adì 28 zugno vene in Venetia insieme co Sier Alvixe de Boni un sclav moroel qual portorono i spagnoli da la insula spagniola.” — MS.in Museo Civico at Venice. Here the term Moor is applied to a native of Hispaniola! — “And for the hatred in which they hold them, and for their abhorrence of the name of Frangue, they call in reproach the Christians of our parts of the world Frangues(see FIRINGHEE), just as we improperly call themagain Moors.” — Barros, IV. iv. 16. 1560. — “When we lay at Fuquien, we did see certain Moores, who knew so little of their secte that they could say nothing else but that Mahomet was a Moore, my father was a Moore, and I am aMoore.”-<-> Reports of the Province of China, done into English by R. Willes, in Hakl.ii. 557. — “And as to what you say of Ludovico Vartomano, I have spoken both here and in Portugal, with people who knew him here in India, and they told me that he went about here in the garb of a Moor, and that he came back among us doing penance for his sins; and that the man never went further than Calecut and Cochin, nor indeed did we at that time navigate those seas that we now navigate.” — Garcia, f. 30. — “. . . always whereas I have spoken of Gentiles is to be understood Idolaters, and whereas I speak of Moores, I mean Mahomets secte.” — Caesar Frederike, in Hakl.ii. 359. — “The King was fled for feare of the King of Makasar, who . . . would force the King to turne Moore, for he is a Gentile.” — Midleton, in Purchas, i. 239. — “Les Moresdu pay faisoiẽt courir le bruict, que les notres avoient esté battus.” — Wytfliet, H. des Indes, iii. 9. CLICK HERE TO READ MOOR!